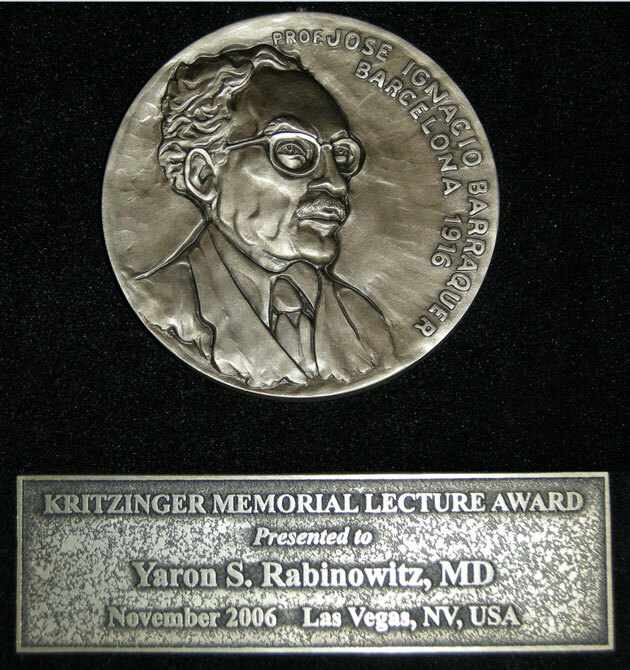 Yaron S. Rabinowitz, M.D. is the Founder and Medical Director of The Eye Defects Research Foundation, which was founded in 1994. 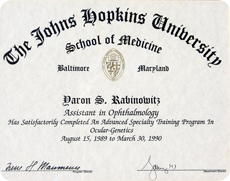 Dr. Rabinowitz attended medical school at the University of Cape Town and completed his Ophthalmology Residency at Penn State University. He completed sub-specialty fellowships at USC/Doheny Eye Institute for Cornea and Refractive Surgery, and Ophthalmic Molecular Genetics at Johns Hopkins University/Wilmer Institute, where he was a “Fight for Sight, Research to Prevent Blindness” scholar. 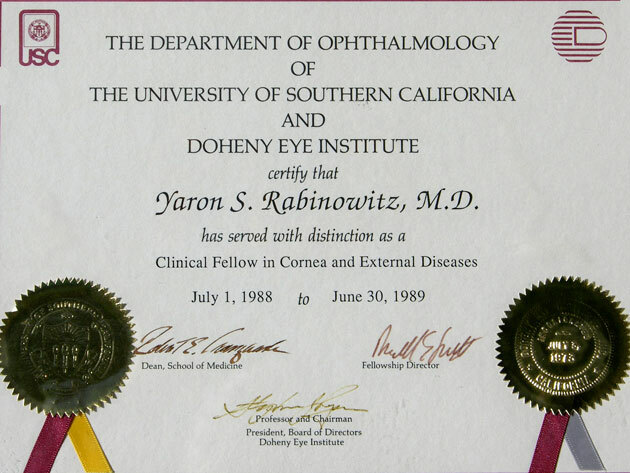 Dr. Rabinowitz founded The Eye Defects Research Foundation because of his strong commitment, passion, and perseverance in the prevention of blindness. He has received numerous research funding grants, and collaborates with molecular and genetic researchers around the world with regard to genetic eye diseases and pediatric corneal transplantation. 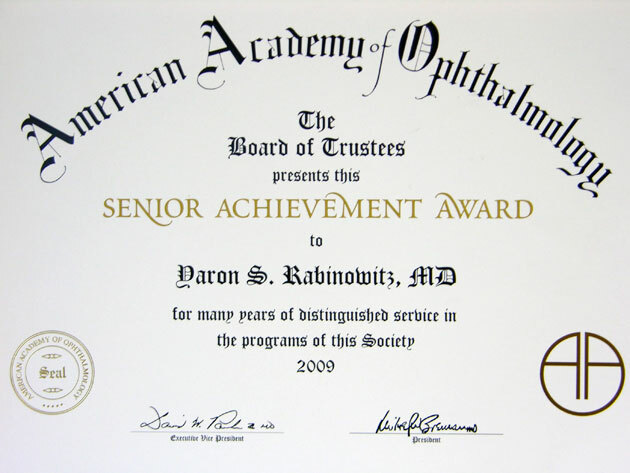 Dr. Rabinowitz served as Chief of Ophthalmology and is currently the Director of Research in the Division of Ophthalmology at Cedars-Sinai Medical Center in Los Angeles. 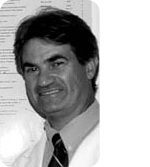 He specializes in the study of the cornea, refractive surgery (LASIK), and hereditary eye diseases. 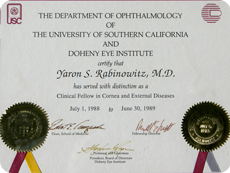 Dr. Rabinowitz is also a Clinical Professor of Ophthalmology at the David Geffen School of Medicine at University of California, Los Angeles (UCLA). 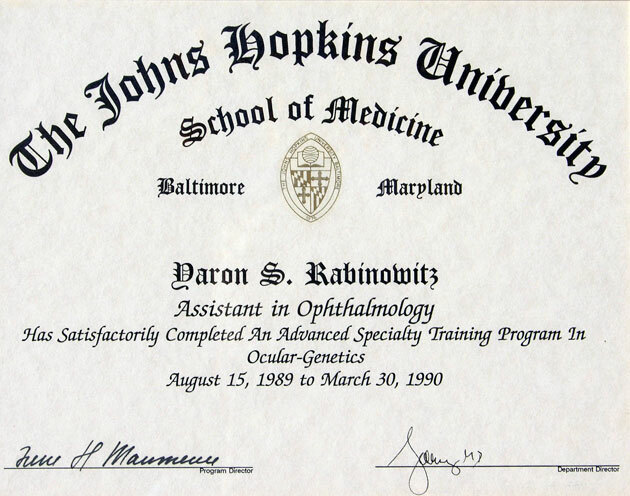 Dr. Rabinowitz is the author of over 100 scientific manuscripts, journal articles, and abstracts, and he has given hundreds of lectures worldwide on genetic eye disease. He is also the author of the textbook: A Color Atlas of Corneal Topography: Interpreting Videokeratography. 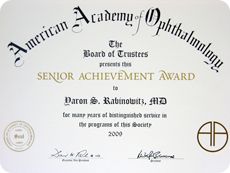 Dr. Rabinowitz is the inventor of a computer program that is used worldwide for screening patients before refractive surgery, and he has performed several thousand surgical procedures since 1989. He was one of the first surgeons in the United States to perform the new, improved “down-up” LASIK technique. 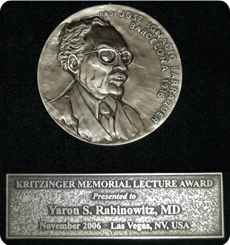 For more information about Dr. Rabinowitz’s clinical investigations, research grants, academic honors and awards, published scientific manuscripts and articles, and conference presentations, please click read more below.